There is a simple and honest feeling in the wine and spirit of Gerhard Pittnauer which hails from his generosity and humility. Given the reins of his vineyard in the mid-1980’s after the unexpected death of his father, Gerhard, then 18 years old, had to train himself to make wine in the midst of scandal and chaos in the Austrian wine market. He chose to become a student of the broader wine world, and, in realizing the exceptionality of the land he farmed and of the indigenous grapes of the region, allowed himself to experiment with some missteps until he found his thesis. He set forth to ‘grow’ wine rather than to ‘make’ it in the cellar, from the autochtone varietals. He did so without any viticultural doctrine until he found that there was a consistent, common thread in the wines he loved to drink from France and elsewhere. If, he thought, these wines were amazing because of biodynamics, then he must do the same to achieve the pinnacle in his own wine. So he tends 15 hectares, half of which he owns and half of which he rents, alongside his wife Brigitte to create what they call living wines. All work is done manually from composting to pruning. There is no calendar that drives them. Nothing is rushed: they believe in quality over speed. They taste for perfect ripeness, select the cleanest grapes, and begin the wine in the cellar in response to the conditions of the vintage. They do incorporate a bit of modern technology: a pneumatic press, temperature-controlled steel tanks and pumps, all to ensure the purity and freshness of the fruit remains. 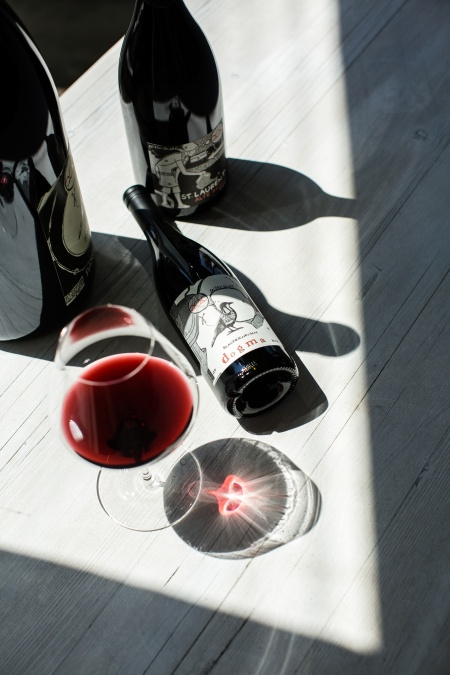 They are making wines that excite them with the unique voice of the varietal and the deep limestone soils of the terroir speaking clearly. 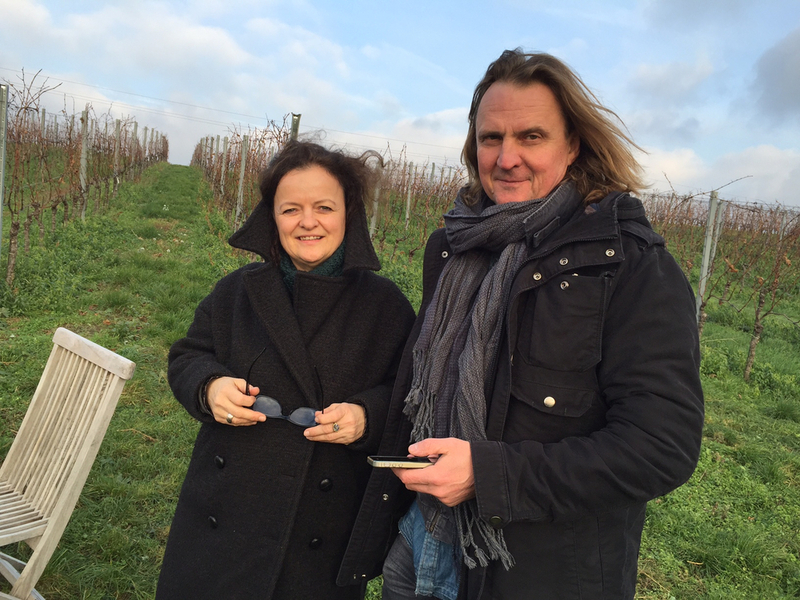 Gerhard and Brigitte are aware of the evolution of their tastes as well as the vineyard’s. They are students presenting the current findings. Not with proud declaration, but with excited experimental energy to get the best of what they have. So far, it is delicious research. From vines grown on soils composed of sand, loam and chalk with organic treatments. The grapes were hand-harvested at the end of August in the cool morning hours. 100% whole bunch pressing without the addition of sulfur, then racked into stainless steel using natural indigenous yeasts. Spontaneous Fermentation in stainless steel with final fermentation in the bottle. Disgorgement is done by hand, topped off with the same wine and re-capped. No sulfur added at any point. The vines are planted in heavy clay soils of the Altenberg (Gols) vineyard, are hand harvested in September and undergo intensive sorting. Spontaneous fermentation with natural yeasts under temperature control and then aged in barrique for 8 months. For the Gruner Veltliner 95% whole berries were used and 5% bunches and then fermented for ten days in open vats, while the Muscat Ottonel and Traminer underwent the same process but with reduced time on the skins. The Chardonnay is immediately pressed to maintain a crisp texture and freshness with mineral elements. Each varietal was matured separately in barrique for half a year and then merged just before bottling. The vines are planted in rich clay soils. The wine stays on the skins for 20 days where it is allowed to begin spontaneous fermentation. The wine is matured for 8 months in barrique. The ‘Pitti’ is a blend coming from vines that average 12-15 years in age and are planted on sandy clay mixed with limestone; manually harvested, de-stemmed, left for 18 days on skins before fermenting in steel with natural yeasts for four days and on lees for three months. The wine is then aged for six months in steel and roughly filtered before bottling. Made from grapes from the Salzbergacker, Goldberg, and Edelgrund vineyards, all situated near the southern edge of the plateau “Parndorfer Platte,” where temperatures are slightly cooler and windy. Soils here are rich in iron, with some humus and good drainage due to the gravelly, slightly dense alluvial soils. The vines are aged between 15-20 years, yielding about 45 hL/ha, a low yield which is essential not only to concentrate the wine, but to make it more age-worthy. After 14 days of maceration, spontaneous fermentation begins without temperature-control in used 500L wooden barrels. Aged in the same barrels for one year. Not filtered. Originating from the best vineyards - Rosenberg, Altenberg and Ungerberg - and based on St Laurent as the lead with Blaufrankisch, Zweigelt and Merlot supporting. The grapes undergo spontaneous fermentation with wild yeasts and treated in the same way as the Pannobile. After months of barrel-maturation the most suitable wines are chosen for the blend. Unfiltered. From equal parts Blaufrankisch, St. Laurent and Zweigelt, the grapes undergo spontaneous fermentation with wild yeasts and then is aged in 500L wooden barrels for 18 months with no filtration. The grapes are fermented separately and meticulously harvested from their best vineyards (Altenberg, Setz, Rosenberg and Ungerberg).